As the saying goes ‘the Englishman’s home is his castle’, denoting the fact that our home is our refuge, a place of safety as well as the four walls and roof that shelter us from the weather, as well as life’s other grumblings. It is the place of great happiness and merriment at times too but, we need to look after it. For our castles need looking after; they need help in facing the harsh climatic conditions as well as keeping us safe. Small leaks can soon turn our homes damp and the castle faces being penetrated and weakened. One aspect of our home that needs taken care of is the exterior but, when budgets are tight it can be easy to think that the peeling paint and the discoloured render will be ‘just fine’ for another year. Single walled homes, built mainly from the 1920s through to the 1930s, cannot have cavity wall insulation installed as there is no cavity to fill; exterior wall coatings is a versatile solution that sees no home, no matter how old it is, being excluded. This means that once the repairs and deep clean of the exterior walls is complete, the process of coating the walls can begin. And so insulation is improved and with the drive by the UK Government to improve the energy-efficiency of homes and businesses across the country, it makes you home future proof in the sense your carbon emissions will be much lower than your neighbours. But there are many other problems that creep in as the Englishman’s castle gets older in years, damp and mould can take hold. Rainwater starts to penetrate the brick and other structural materials and, before you know it, you are fighting off damp patches inside your home! Exterior wall coatings provide a much needed extra layer against the weather, rain in particular. It has a repellent surface that improves the run off of rain and stop the wet and cold from soaking into the brick. 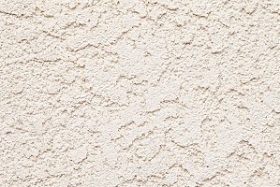 Effectively, exterior wall coatings can stop you having to spend hard-earned cash in the future on small, yet costly repairs. There are many other benefits in opting for exterior wall coatings all of which will help you out in the long run, making your castle once again, the fortress against the weather and the rest of life’s upheavals. It will stand proud and appealing, way above surrounding properties. You won’t need to paint for years to come and the small, niggling jobs that seem to take an age to do or a lot of money to repair will be banished. 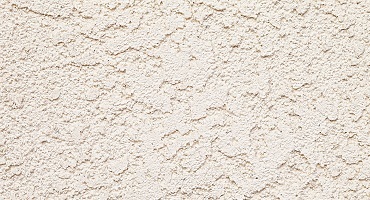 It is time you look at what exterior wall coatings could do for your property?